Originally manufactured in Grand Haven, Michigan Story & Clark has become a piano that combines elements of both craftsmanship and affordability. The name has lasted for five generations. 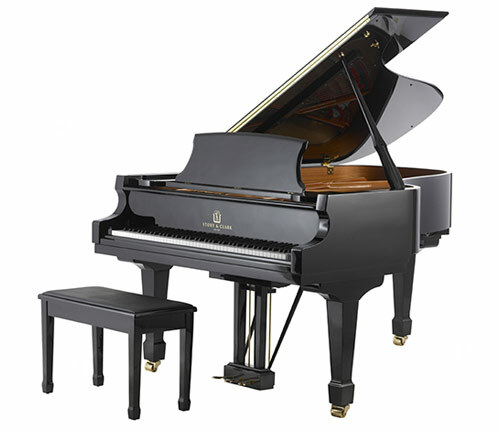 Story & Clark grand pianos are now available with optional, factory installed QRS player systems that are very reasonably priced. Ask about the Story & Clark Decorator Series which offers exquisite design features usually associated with pianos costing thousands more.